One of the most used items in rigging and possibly one of the most abused items has to be the ‘Screw pin Shackle’. They come in many different capacities and types, namely the Bow and D-type, the D-type is not so common in the entertainment industry due to it only being suitable for a straight in line pull, and as a bow shackle can do that it’s easier to keep just one type. When using shackles for rigging the most important thing is to make sure the equipment is load rated and not a low grade commercial type that’s not suitable for lifting. It’s also important to know what the applied load will be, overloading any lifting equipment is forbidden in every country around the world that have any type of rigging or lifting regulations. Bow shackles can be used in many orientations, but the most important thing is the direction of the force(s). The bow is designed to absorb a bridle force, where the pin side is to only be loaded perpendicular to that pin. 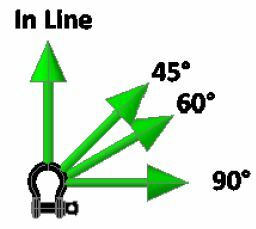 When the bridle apex point is in the bow the shackle is loaded correctly. In the examples below the arrows marked in red are not acceptable. When used in a straight pull, it’s important to ensure the forces are on the pin and the crown of the bow only, but it is also important to make the correct choice for the orientation. 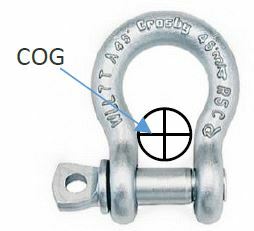 It’s important to understand that the Centre of Gravity (COG) in a shackle is always going to be closer to the pin due to the weight displacement of the shackle. Therefore, it is wise to have the pin side facing down and the bow facing up, this will help prevent in a slack situation, the natural tendency for the shackle turning itself (the heavy part always wants to be downwards) ending up in a transverse load. This is a simple but effective and an example of good rigging practice. Avoid Folding, bunching or pinching of synthetic slings, which will reduce the Working Load Limit of the shackle and sling. Screw pin should be fully engaged but not tightened and should be moused. Applied load should be centred in the bow to prevent side loading. Multiple sling legs should not be applied to the pin. If side loaded, the Work Load Limit shall be reduced. The first thing to make sure when using shackles is that they are designed and manufactured for lifting purposes. Most countries require a minimum amount of identification on the shackle. The picture shows the sort of information you should find on a shackle from a reputable manufacturer. 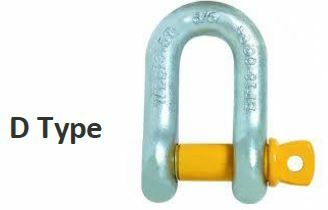 All lifting components safety can be affected as a result of use, abuse, wear and so need to be inspected at least once a year and should be examined prior to each use by a competent person and shackles are no exception. 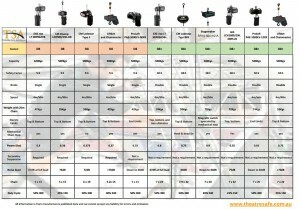 In a recent post about D8+ chain hoists, an indeterminate load was mentioned and the need for load cell monitoring and we thought this would be a good point discuss a bit more about what a statistically indeterminate load is and what we can do to protect ourselves against it becoming a problem. A “statistically indeterminate load” occurs when you have more than two loading points on a truss or three or more loading points on a structure, and this results in an unpredictable load distribution. The simplest type of lift is a single point lift, for example, one chain hoist lifting a known load, and in this situation you can probably proceed without the need for load monitoring. Similarly, if you are lifting a truss on two chain hoists and again assuming you know the weight of the load your lifting, its evenly distributed and the total load does not exceed the capacity of a single hoist, then again you probably will not need load monitoring. When you get to lifts involving more than two hoists we enter into the difficult territory known as statically indeterminate loads. Under “IGVW SQ P2” which is the German standard for electric chain hoists that forms part of the VPLT SR2.0 Code of Practice, there is a need to load monitor your hoists when using more than 2 hoist on a single truss. To try and simplify how you get an indeterminate load, we will use an example of lifting a single line of truss on three chain hoists. Assuming that you’re using fixed speed conventional AC chain hoists of the same type and capacity from a single manufacturer, operating directly from a single controller, then in theory you hoist should run at the same speed when they are evenly loaded. But when those same hoists are unevenly loaded, for example the cables drop from one end of the truss, a group of movers in the middle of the rig, those same hoists can run anything up to 5% differently when unevenly loaded. As you proceed with a lift, a hoist that is running faster will start to take up more of the load and a hoist that is running slower will be taking less of the load, and there is a chance of hoists becoming dangerously overloaded. In situations like this with an experienced operator who is not being distracted by others or under the pressures of time, it is unlikely to become a serious problem, but in less than ideal situations can quickly become an issue very quickly and just because a truss looks level it’s not always the case its load balanced. come in different types, It’s possible to use a standalone unit that plugs into a hoist controller and many hoist controllers are now able to monitor loads being lifted and stop the procedure if the load shifts outside of a predetermined limit. Load cells come in a variety of different types with both wired and wireless systems available and most hoist manufacturers have the ability to build them into the hoist. 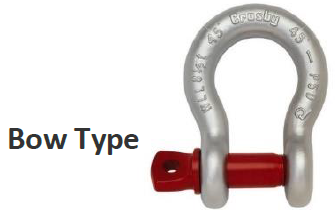 One of the easiest types to use is one that is built into it bow shackle although these are not necessarily the most accurate if the load is not sitting squarely on the centre of the shackle pin. So to conclude, with the ever increasing complexity of the loads and equipment that is being specified for productions today and the need to meet the required safety regulations, one of the simplest ways to protect ourselves, the performers and the audience and be sure of what we are lifting is to include load cells into the system. Should you want further information on the load cell systems available and the options open to you please feel free to contact us. We’ve prepared a document showing the specifications of different hoists to highlight the main differences in the major brands of chain hoists easily. Theatre Safe Australia can help clients find the hoist that best suits their needs, and allows them to comply with all of the industry best practises and required legislations. Theatre Safe Australia prepared the performer flying for the Queensland Community premiere of Wicked. We had the opening night on Friday 29 July and played to a sold out audience. Be sure to catch this show before the finale on 14 August! 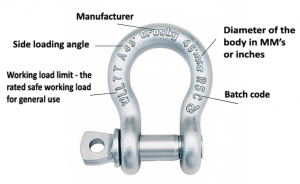 What Is a D8+ Chain Hoist Specification and How Does It Apply to Me?